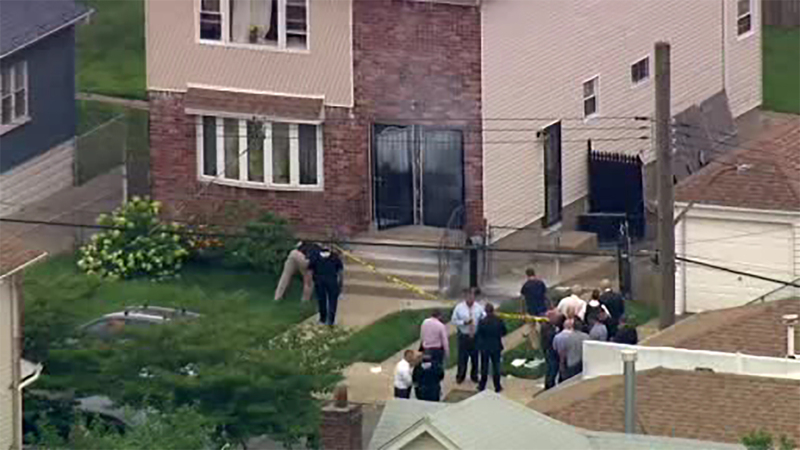 SPRINGFIELD, Queens (WABC) -- 73-year-old George Wray died on Tuesday after being badly burned when he opened a mysterious package that exploded on Friday. It was the shape of an oatmeal container and left on his doorstep in Queens. The victim, who is the building's landlord, died at Nassau University Medical Center after sustaining second- and third-degree burns over 80-percent of his body. The incident happened in front of a house that is rented to two families on 222nd Street in Springfield Gardens. Police say the package was sitting on the front stoop for a number of days. Wray picked up the round cylinder that police say was packed with black powder, and it exploded. The name on the package was not anyone who lives at that address, investigators said. NYPD Chief of Detectives Robert Boyce says the explosive was rigged to detonate when someone opened it. He says the blast left behind "substantial evidence." One resident of the home saw the package for several days and even touched it. "We didn't think nothing of it, my dad was actually holding it and he was like, 'is this for us?' and I said it's not for us," said Kathleen Toussint. "I said just put it outside and I guess they'll pick it back up, to whoever it needs to go to they'll find it. And the landlord came and he saw it during the week and I guess he realized it was still sitting there and he decided he wanted to open it I guess, and that's what happened." Police say there was no evidence of shrapnel, just black powder. "This matter is currently under investigation with law enforcement and we cannot provide further comment at this time." Police didn't think the package had been sent through the mail.